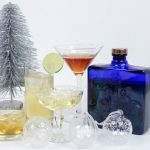 All of the drinks recipe and review post from SallyAkins.com. 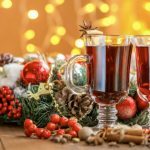 Including cocktail and mocktail recipes, drinks reviews, and reviews of drinks-related gadgets. Add an extra sparkle to your party with Haig Club and Haig Clubman whiskies, the perfect base for Christmas cocktails. Gin subscription boxes are a great way to explore new brands of gin, and the One Time Gin box is well worth trying out. Want to add some Oomph to your coffee? Read on to find out about the Oomph Portable Coffee Maker. As part of my Panasonic #ExperienceFresh series, I’ve been trying out the MJ-L500 Slow Juicer. It’s definitely been my favourite kitchen gadget to test!